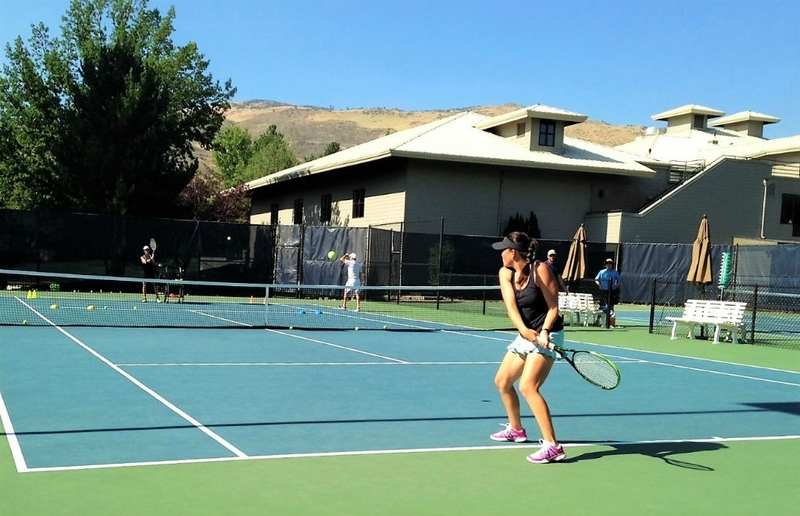 Check out what adult tennis classes and lessons Reno has to offer. From drill and strategy classes to individualized lessons we have you covered. Operating out of the Caughlin Club, you will enjoy beautiful views on the court and the top-notch tennis instruction provided by the best tennis pros in Reno. Contact us today or call Randy at 775-240-6505 to enroll. TRY OUR TENNIS CLASS! GET A FREE DAY! Burn calories with a high-energy aerobic workout. Cardio Tennis focuses on tennis drills and games in a variety of playing scenarios. Provide you with one on one instruction, customizable lesson plans, and scheduling times that suit your needs. A great option if you have friends and teammates that you want to take lessons with and develop your tennis games together.